Came here feeling like I was going to be denied the chance to trade in my truck and get myself into something else. Then I walked out with the keys to a brand new truck thanks to Brenda. She’s the best in my opinion. If anyone is looking for a new car/truck they need to come here and ask for her. She really cares about her customers and she is amazing at her job. My parents and I went in with lots of questions and concern and thankfully Megan helped us find the answers we needed. Amazing staff who also helped us finalize getting the car of our dreams. Thanks to Megan and her help, friendlyness, and positive attitude really made the wait hassle free. Always friendly and professional. Great customer service! We had such a pleasant buying experience with Stanley. Rick was our salesman and he made the process so smoothe! He wasted no time helping us get our daughter her dream car at such a reasonable rate. Glad we didn’t look anywhere else. Everyone was so polite from Rick to the gentleman who delivered the vehicle to us. 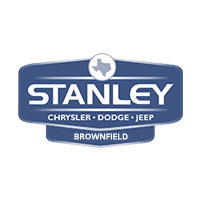 I highly recommend Stanley and specifically Rick! I will be recommending them to my friends and family!! Meagan Martinez did an awesome job! We are very happy with our new car! Go to her for your new vehicle she will get you in with no problems!